Whipping Up Homemade Bread Is As Easy As 1, 2… Making dough for pretzels, pitas, flatbreads and more couldn’t get any easier―just combine Greek yogurt and self-rising flour, and you’re well on your way to snacking on Pesto-Parmesan Twists, Curried Potato and Pea Samosas, Cini-Mini Churros and Bacon, Fig and Gruyere Volcano Rolls. 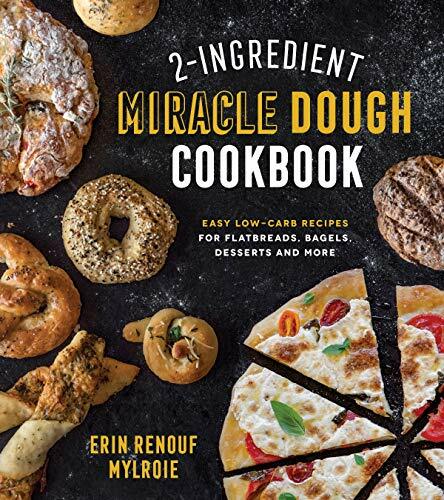 With 2-Ingredient Miracle Dough Cookbook, there’s no need to fuss with yeast or wait for dough to rise. Whether you’re baking for breakfast, dinner, dessert or anywhere in between, there is a simple, flavorful recipe to satisfy your craving, and as an added bonus, two-ingredient dough is naturally lower in carbs than traditional bread. Plus, it’s simple to alter the dough to be lower in fat, gluten-free or vegan without sacrificing any flavor. Your friends and family will never guess that the best breads they’ve ever had were so quick, easy and healthy.